Chse Hattan- Based in Greenwich, we use our extensive knowledge and experience to provide luxury products at exclusive prices. We focus on exquisite high-end products and offer bespoke services such as tailor made jewellery, repairs and servicing, product showcases and advice. Our highest-grade Argyle diamonds, Clear diamonds, prestige watches, emerging art and selected jewellery ranges provide unique exclusivity for our clients, collectors and investors. The aim of the company is to be able to offer products that are entirely exclusive, hand made and prestigious with unrivalled customer service. Case material: NA; Charge: Automatic; Conditions: New Year : 2014; Presentation condition : With dealer guarantee ; Place: United Kingdom, London Model: Datejust Price on request Chse Hattan Reference: 116200 A fine Rolex Timepiece, brand new with tags, box and paperwork and registered only in October 2014. This is excellent value and a great discount from the RRP. Elegant and stylish this watch would suit either male or female and comes with the preferred Oyster bracelet. Blue face and Roman Numerals. This Rolex watch has a smooth bezel and fitted with a Rolex Superlative Automatic Chronometer and has a date window which is magnified by the trademark Cyclops lens. Crystal glass and measures 36mm. A stunning watch that has never been worn. Case material: NA; Charge: Automatic; Conditions: New Presentation condition : With dealer guarantee ; Place: United Kingdom, London Model: Santos Price on request Chse Hattan Reference: 987901 The Cartier Santos Galbee – a blend between functional excellence and elegance – is an exquisite timepiece that would put a smile on every lady’s face. Powered by a Quartz movement the watch benefits from a stainless steel case, cream dial, Roman hour markers and a date aperture on six. Fitted to a stainless steel bracelet measuring approximately 14.5cm. Comes without papers but with an authentic Cartier box. 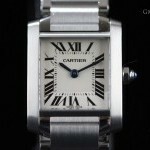 29mm Case size Cartier Service Papers provided, this watch has been well looked after and taken for regular Cartier Services. 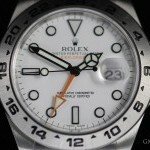 Case material: NA; Charge: Automatic; Conditions: New Year : 2015; Presentation condition : With dealer guarantee ; Place: United Kingdom, London Model: Explorer II Price on request Chse Hattan Reference: 216570 Rolex Explorer II with white face and orange second hand marker in Stainless Steel with a Rolex international warranty and all box and papers. This watch is new and unused registered in 2015. 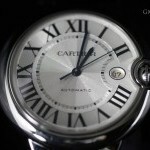 This is the 42mm Model and comes complete with our 12 month guarantee. An exemplary version of this model in perfect condition at a great discount to the recommend retail price. Case material: NA; Charge: Automatic; Conditions: New Year : 2007; Presentation condition : With dealer guarantee ; Place: United Kingdom, London Model: Tank Francaise Price on request Chse Hattan Reference: W51008Q3 A Ladies Cartier Tank Francaise. Stainless steel, mid size quartz and a beautiful white Roman dial. 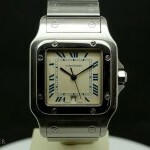 Cartier model number W51011Q3. This is an undeniably recognisable classic. Previously owned and accompanied by full paperwork and packaging. Full service carried out and condition excellent. This watch has had one careful owner from new. All of our pre-owned stock comes with a 1 year warranty. Case material: NA; Charge: Automatic; Conditions: New Presentation condition : Without documents; Place: United Kingdom, London Price on request Chse Hattan Reference: nessuna This stunning new and unused Rolex Datejust 36 - 116234 has a black dial with 10 diamonds on the hour markers. 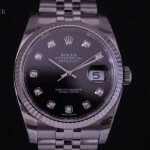 Date is aperture to "3" and Rolex emblem sits at the number 12. White Gold bezel and stainless steel Jubilee bracelet, at 36mm this is a Mid Size Rolex with a neutral colour suitable for male or female. New and Unused 2017 model the watch is accompanied with the box and papers. 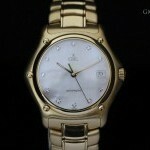 A stunning watch offered at a great discount to the recommended retail price. 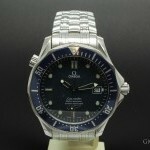 Case material: NA; Charge: Automatic; Conditions: New Year : 2003; Presentation condition : With dealer guarantee ; Place: United Kingdom, London Model: Seamaster Price on request Chse Hattan Reference: 25378000 This is an excellent example of the classic Omega Seamaster 2537800 James Bond 40th Anniversary Edition. 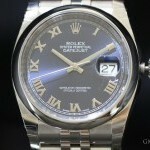 Really in very good condition this watch has only just come into stock and full professional images are to follow. 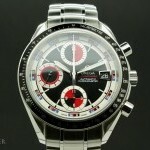 The watch has a full set of links and is accompanied with the box, papers and Certificate of Authenticity. Watch number 8367 of just 10,007 to celebrate James Bond's anniversary with Omega Watches. 1120 Calibre movement, paperwork from previous service works. James Bond and 007 on the dial and the background along with on the rear of the case. Case material: NA; Charge: Automatic; Conditions: New Year : 2010; Presentation condition : With dealer guarantee ; Place: United Kingdom, London Model: GMT Master II Price on request Chse Hattan Reference: 116710LN A Stunning Rolex GMT Master 2, this classic watch is in perfect condition. 40mm Case size and accompanied with box and 12 month guarantee. Excellent Condition with no major marks or scratches. 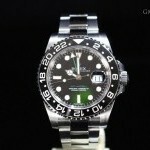 This is a pre-owned Rolex GMT Master II 116710 LN. 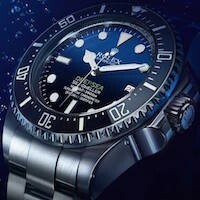 It has a 40mm Steel case, a Black dial, a Steel (OysterLock) bracelet, and is powered by an Automatic movement and is 6 years old. Case material: NA; Charge: Automatic; Conditions: New Year : 2015; Presentation condition : With dealer guarantee ; Place: United Kingdom, London Model: Daytona Price on request Chse Hattan Reference: 116520 Rolex Daytona Cosmograth 116520 - Black Dial, Self winding Chronometer. 40mm special oyster stainless steel case, Steel bezel, sapphire crystal, Oysterlock steel bracelet with brushed outer links and a polished centre featuring Oysterclasp with Easylink. Rolex Model Number 116520. Water resistant to 100 meter / 330 feet. 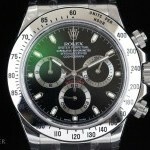 This is currently one of the most sought after Rolex model's available and a true Rolex Classic watch made to perfection. This watch is in perfect condition with all of the factory seals, box and paperwork as never been worn.